The sparkly season is now upon us, and even though I am a matte girl at heart when it comes to everyday eyeshadow, I like a bit of glitter on the weekends or evenings out. A while ago I reviewed the Catrice Lumination Edition Lipstick in Radiant Rose. While picking that up, I also picked up the matching eyeshadow because well why not when the colour is so pretty. 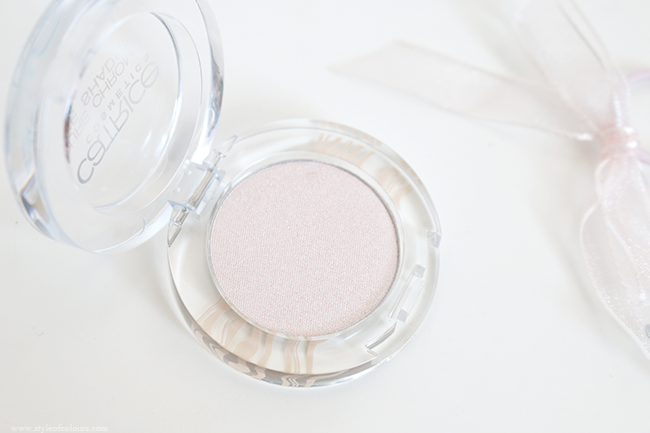 The Catrice Lumination Limited Edition Eyeshadow in Radiant Rose is a soft pearl colour with lots of fine glitter. The eyeshadow is very smooth, well pigmented and doesn't have a lot of fall out as is usually the case with glitter eyeshadows. It caught my eye because I thought this shade would look beautiful on me and I was right. 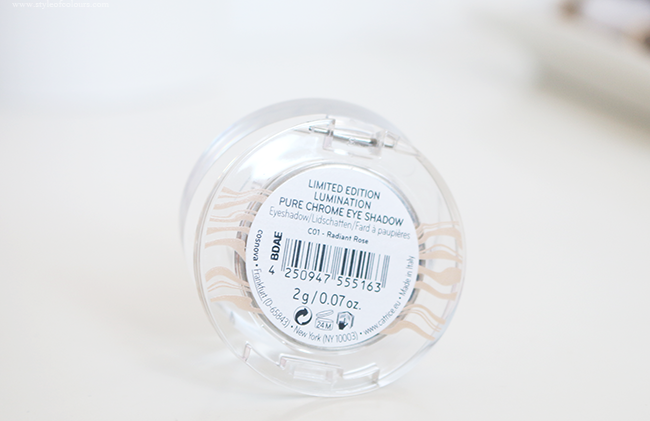 It is such a pretty colour for a smokey eye look or just on the inner corners of your eyes. I've also tried using it as a highlighter and it works wonders. 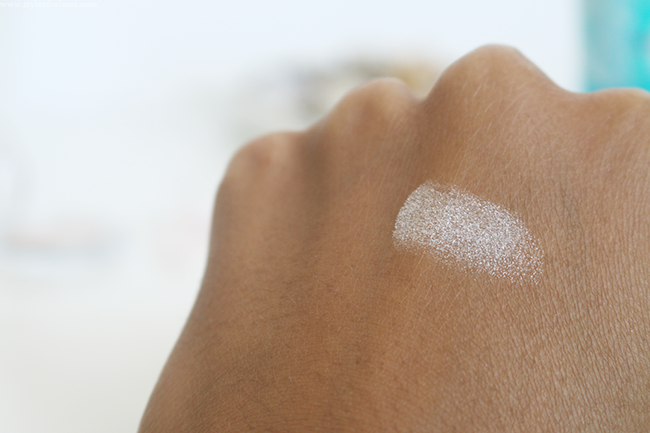 I tested it when doing my friend's contour and I think it looks even better on lighter skin tones. I usually use this in combination with the Catrice Prime and Fine Eyeshadow Base and it looks great for about 6 hours after which it becomes a bit more dull. When used on its own, the sparkle begins to fade after 3 hours or so. So this may not be your best choice for a party night but a great option for dinner or a few drinks. It reminds me of the MAC Pressed Pigment in Flicker but without the large glitter. Likes - well pigmented, gorgeous shade. 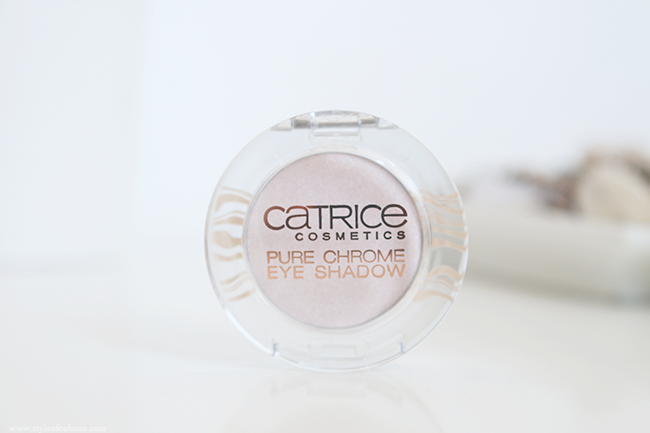 Have you tried the Catrice Eyeshadow in Radiant Rose? Do you have a similar shade in another brand?